Situated in the much sought after area of the ‘Vineyards Community’ close to the old town of Niagara on the Lake. Surrounded by beautiful countryside and numerous wineries. 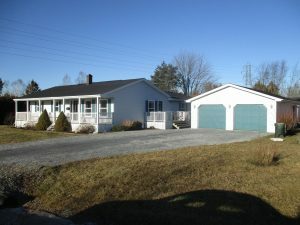 This house single / family home is located at 29 Riesling Drive, Virgil, Niagara on the Lake, L0S 1J0. This home has 4 bedrooms, 3 bathrooms and 1 powder room and is approx 1800 sq feet. The master bedroom is spacious and has a walk in wardrobe and a 4 piece en suite. The home was built 2012. The basement has been finished to a high standard with 1 bedroom, bathroom, lots of storage and a recreation area. The patio doors at the back of the home lead onto a covered deck area overlooking the garden. The home is in walking distance to two elementary schools and a further Community School, Royal Oak in the old town. St Davids, Niagara Falls and St Catharines are all within easy distance.